Jonas Gaidamavičius-Gaidys was a prose writer, the author of "Antanas Valys", the first original Lithuanian story published in 1889. He also was one of the founders, editors and co-workers of the newspaper "Varpas". He attended a primary school in Alanta. In 1888, he together with the family settled in a small estate in Kazimierava village, Luokesa eldership. 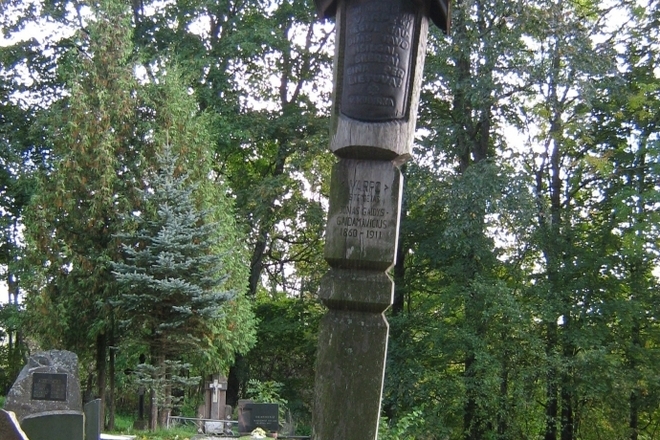 After graduation from the University of Warsaw, he lived in Kazimierava till 1890. Since 1908, he worked as a doctor in Alanta, where he was buried after his death.